China’s e-waste industry is ready for an upgrade. www.inkntoneruk.co.uk thinks it’s well overdue. 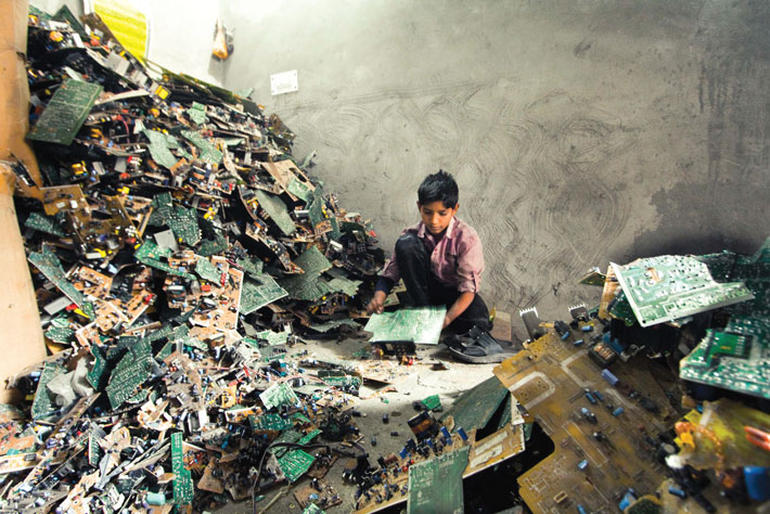 In the China dialogue website it has been reported that e-waste is a challenge because of the toxic substances and with the world producing 41.8 million tonnes in 2014 of that 6 million was produced in China. China released a new policy in January of 2017 called Extended Producer Responsibility (EPR) and by the end of the year the Ministry of Environmental Protection and other government bodies “must put forward a proposal for recycling electronic[s]” and that they want to see the EPR system in place for 2025 for “key product types” and advances in “environmental product design”. The article also noted that China had shipped 560 million mobile phones in 2016 of which 400 – 500 million will be discarded as users update their phones and there are already one billion dumped in China. The EPR system recommends four areas of manufacturer responsibility which are “producing environmentally-friendly designs, using recycled materials, standardising waste management and recycling processes, and disclosing data on recycling” to reduce carbon footprints and to make manufacturers track and re-use products during their life cycles”. The reform will begin with targeting four products; electric and electronic, cars, lead batteries and drinks packaging which means increased costs for businesses in these segments and the recycling costs are “expected to be passed on to consumers through increased prices” the article suggested. According to a survey by CHEARI (China Household Electric Appliance Research Institute) the informal recycling sector handles 86 percent of e-waste in China and the government wants to promote “formal recycling” because of incorrectly discarded materials during informal recycling which lead to pollution and environmental “damage”. The workforce toiling away on these informal sites have neither health and safety protection nor any union support. Li Boyang, Deputy Head, Energy Saving and Environmental Protection, Research Centre, said that “licensed disposal firms require production lines that meet national environmental standards, and which use suitable technology to dismantle, discard and re-use waste, all whilst providing basic protections for employees” and this costs millions for a “single production line” leaving these firms unable to compete with the smaller traders. E-waste formal recyclers are subsidised by the government but the payment can be as late as one year, which may cripple smaller businesses. important in keeping cities clean. In the formal sector there are “strict licensing and limits on the number of waste firms” and there are only 109 at present but the China Dialogue was told that “large quantities of discarded products are snapped up by small scale workshops and traders, leaving nothing left for larger firms, meaning such facilities lie idle”. In conclusion the article noted that by ignoring the informal sector and targeting manufacturers the former will be left without jobs and that this could cause other problems.